pertaining to the search for, and preservation of, our heritage. permission to post my work on this site. I just looked at my messages and I don't know if I answered your last one, so I decided I better do it. If I did so much the better. If I didn't, here it is. You're welcome to anything on my site. Just copy what you want. Love you 'gator! An explorer on the pages of history. And brought them to the light of day. I felt inside I was truly rewarded. I began to know each one inside. Hand in hand, we'll receive immortality. Which flows through time like a singing brook. And recorded each one for posterity. Others will know who walked this way. In all of the work and research I have done, I am proud to say that I published "The Opelousas Post" in 1973 following long months of research. I was living in Slidell, LA, a fair distance from Opelousas in those days, making it hard for me to find the time to come and study the church records. Included in Post are family groups assembled through the translation, abstraction and compilation of the records of St. Landry Church, the third oldest church parish in the state of Louisiana. It also represents Imperial St. Landry, mother of parishes, as it is known. So many other civil parishes were taken from her original huge physical area! Researchers who are not knowledgable with the area may be amazed to see how many of their ancestors are represented in those records -- sometimes just scribbled on a scrap of paper by a passing priest -- as the families passed through on their way west, or otherwise. They may also be delighted to see how many originated here, established themselves, then left for other places, all unbeknown to their descendants. Even some of the family of Jim Bowie is here, as are many other, perhaps less well-known, historical figures. We were never taught in American history that the only time George Washington ever surrendered in his whole career was to a Coulon de Villiers whose collateral lines are prolific in Louisiana. More of Gladys' research will be posted in the coming days. Leonville - Funeral services will be held at 10:00 a.m., on Saturday, June 20, 2009, at St. Leo the Great Catholic Church, 126 Church Road, Leonville, LA 70551 (off Hwy. 31, North), for Gladys LaGrange Devillier, 73, who passed away on Tuesday, June 16, 2009 at Trinity Neurologic Rehabilitation Center in Slidell. Interment will follow at St. Leo the Great Cemetery in Leonville. Father Austin Leger will officiate at the Funeral Mass. Scriptures will be read by Christina and Daniel Devilliers and her grandchildren will serve as Gift Bearers. Gladys began her career in journalism around 1950 as a school reporter for the Teche News. In 1953, after completing her education, she moved to Slidell, LA where she worked for the local Slidell newspaper until l980. Gladys then returned to her hometown of Arnaudville and went to work for the Daily World in Opelousas, working there for two years, before joining the Teche News staff in August 1982 as the Lifestyle Editor. Gladys retired from her career in journalism in July 1996. 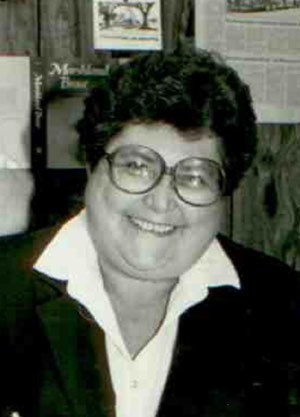 In her career she earned numerous local, state and national awards for her work in journalism and was very active with the Louisiana Press Association. Gladys was a loving wife, mother and grandmother who will be sadly missed by her family and the numerous friends she had made over the span of her career in journalism. Survivors include her daughter, Tommye Boyer, of Pearl River, LA; two sons, Bobby Devillier and his wife, Janelle, of Baton Rouge, and David A. Devillier, of LaGrand, OR; and four grandchildren. She was preceded in death by her husband, Thomas Devillier; a daughter, Mary Christina Devillier; and her parents, Evans and Mable Saizan LaGrange. The family requests that visiting hours be observed at the funeral home from 12 noon until 8 p.m. on Friday and continue at 7 a.m. until 9 a.m. on Saturday. A rosary will be recited at 7 p.m. on Friday. Pallbearers will be Bobby, David, Thomas, Daniel, and Johnathan Devillier, and Lionel Boyer, Jr.
the first I ever visited on the web and still my favorite. It is full of interesting, beautiful information. Moreover, it is based on solid research. Any visitor will leave imbued with joy and history. Glad was proud of her research and I am proud that last year she gave me permission to incorporate her research on the Acadian Ancestral Home. The past several years, it became very difficult for her to write. So these pages are for you Glad. Proud to have had you for my friend all of these years! 'Till we meet again... in a while crocodile!